This is the third installment of our blog series a Year in the Life of an Estate-Grown Pecan Farm. This series provides you behind the scenes look at Stahmanns Pecans, one of the largest New Mexican pecan companies. This series will also include details about the harvesting of the fresh pecans to get them ready for commercial and industrial markets all over the world. If you missed Part 2, of A Year in the Life of an Estate Grown Pecan Farm, check it out here. In December, it is all hands on deck for this year’s pecan harvest. Everything we’ve done this year leads to the harvest. The areas around the trees have been mowed and the rows between the trees are clear and ready to receive the harvest. Our equipment is up and ready to roll into action. 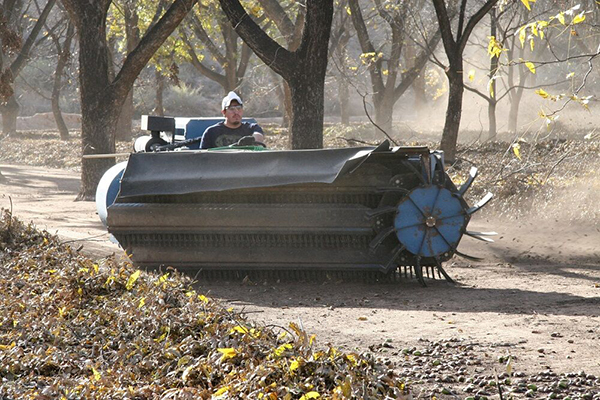 Because it is very important to collect the pecans quickly after they fall from the tree, our workers use special farm equipment that uses a hydraulic arm to “shake” the tree, bringing the nuts down to be collected for the harvest. 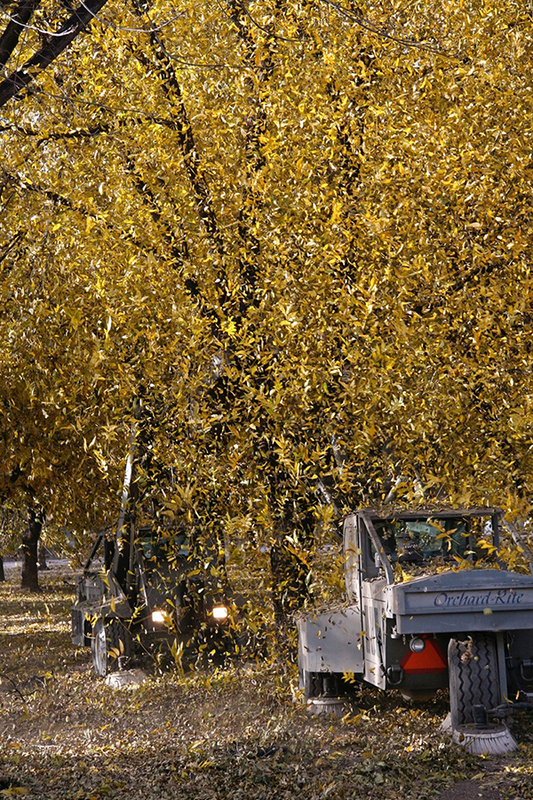 After all of the trees in a particular area have been “shaken-down” our sweepers move into action. They sweep all of the fallen debris under the trees into the rows between the trees and then other sweepers push these into neat piles that can be easily collected by the harvesters. 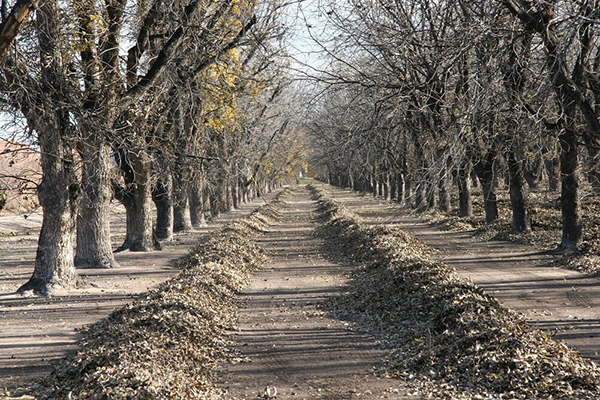 Once the pecan piles are ready, the harvesters move down the rows collecting the pecan piles depositing it into dump trailers which follow behind the harvesters almost continuously. 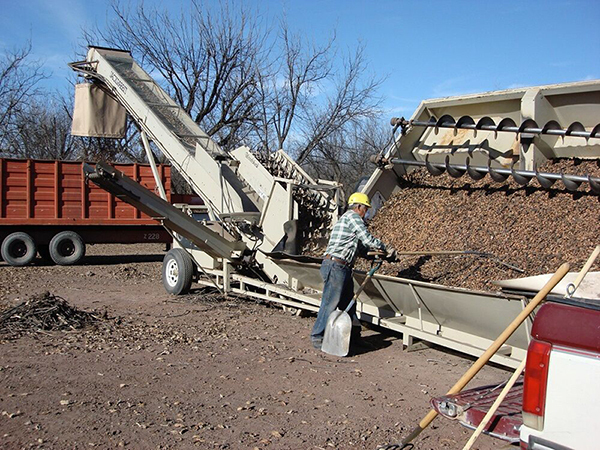 These dump trailers then deposit the collected pecan debris onto conveyors that sort through the debris (discarding some of the non-pecan debris that was collected) that transport it into dump trucks which then transport the sorted material to be bagged over by the pecan shelling plant. 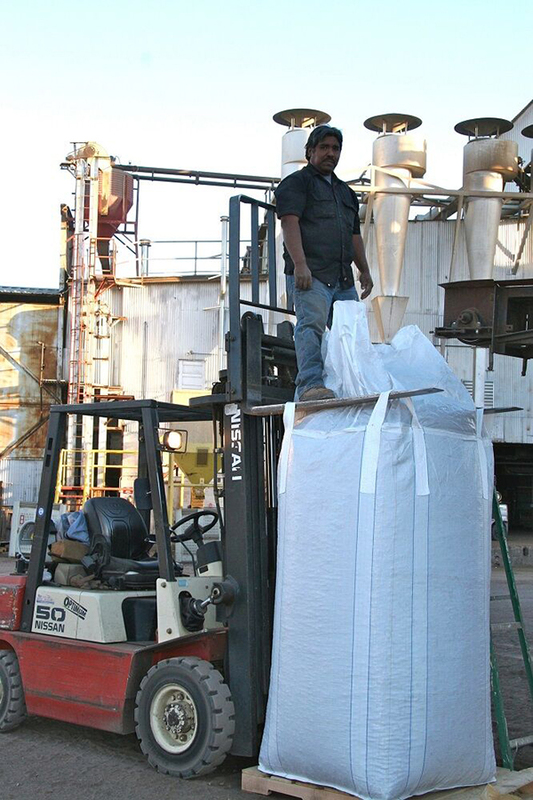 This process happens continuously until all of the pecans on the more than 150,000 pecan trees over 3,200 acres have been harvested, collected and bagged. Return next month for Part 4 of our blog series about a year in the life of an estate grown pecan farm, where we wrap up the pecan harvest and begin processing the new harvest! Looking for High-Quality Fresh Pecans by the Case? Buy them from Stahmanns, one of the largest pecan farms in New Mexico. We supply kosher pecans for commercial and industrial markets. For more information about our wholesale pecans for sale, call us at 844-739-6887 or contact us using our simple online form.